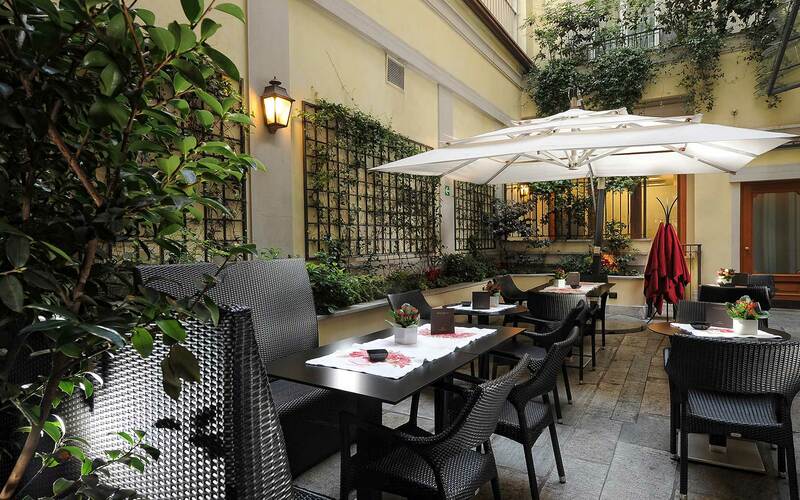 Hotel Manzoni Milano offers leisure and business travelers the best of both worlds — a tranquil, secluded place to relax in the heart of Milan’s trendy shopping district. 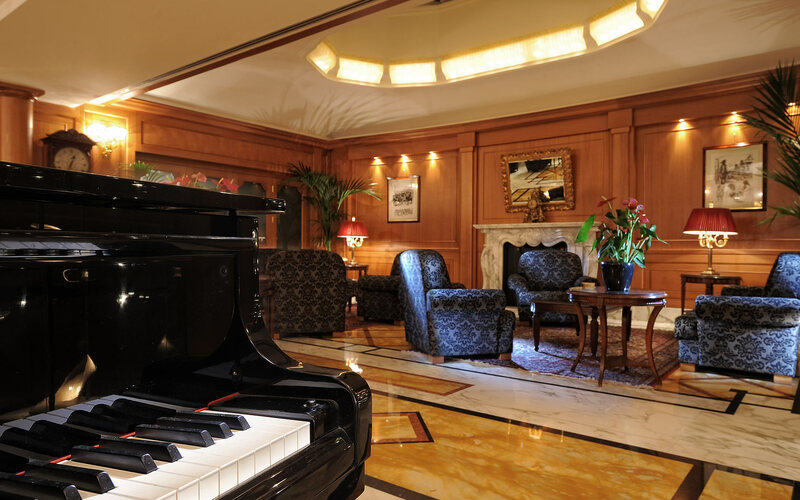 Our style is simple but elegant, with special designer touches such as walnut wood, Murano glass chandeliers, a Carrera marble fireplace, and a grand piano. 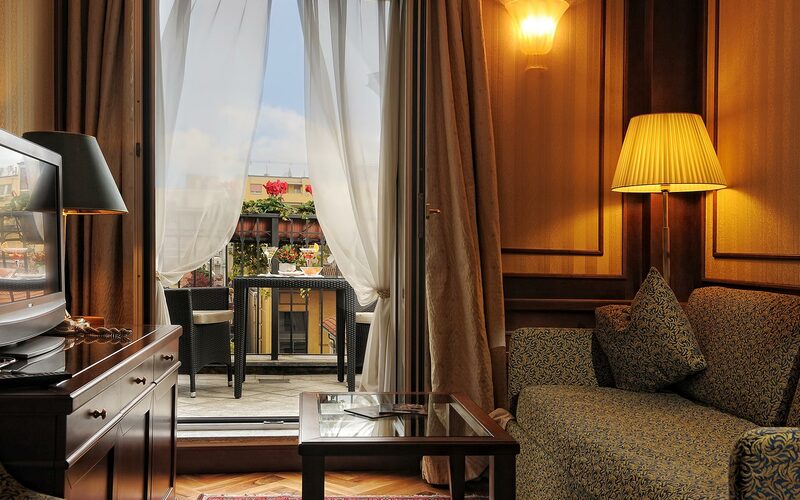 You’ll enjoy elegant meals and impeccable service, with Milan’s famous attractions mere minutes away. Whether you select a room or a suite, you’ll relax in comfort and style. 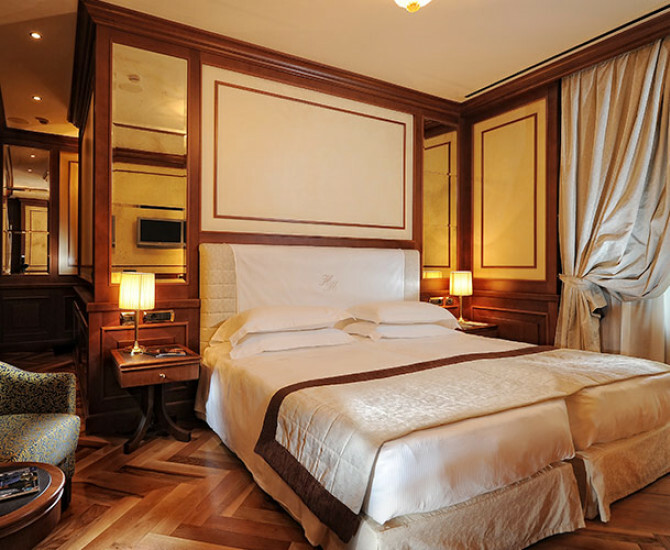 Our walnut décor, monogrammed headboards, and marble accents are elegant, yet cozy. A modern fitness center, rainfall showers, minibars, chic bathrooms, and free Wi-Fi are only a few of the amenities that will enhance your stay. Don't miss a visit to this glorious home of opera, where the works of Rossini, Puccini, Verdi and Toscanini were performed. After viewing the glory of the Duomo, pay a visit to the square’s musicians, street vendors, and ubiquitous pigeons. For many people, this is the essence of the city — top designer names, luxurious shopping, and lots of it.